Cakey Perry is an afternoon tea that’s set to tickle the taste buds of London from 29 to 31 July 2011 and is inspired by Katy Perry’s California Gurls video. Described as “a high tea to melt your popsicle”, Cakey Perry is the brainchild of curator of cakes and chaos, Miss Cakehead, whose previous projects include the Cakes for Japan pop-up shop and the world’s first 18+ cake shop. The kitsch menu will include Molly Bakes‘ Perry Pops, Gummi Bear martinis and Edd Kimber‘s raspberry and chocolate macarons. You’ll also be able to help yourself to a mini candyland featuring peppermint patties, candy canes and flying meringues. 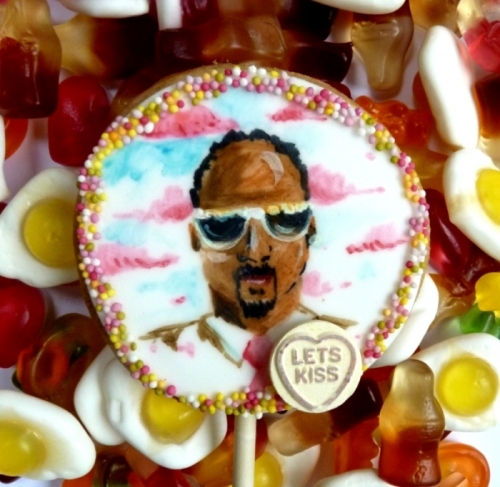 Me and my chums have already got our tickets – the lure of Snoop Dogg cupcakes was too strong to resist. For tickets and more information, head over to Cakeyperry.com. This entry was posted on 13/07/2011 at 1:40 pm and is filed under Baking, Biscuits, Cakes, Events, Out and about with tags Baking, Biscuits, Cakes, Cakey Perry, Edd Kimber, Food, Katy Perry, Miss Cakehead, Molly Bakes, Snoop Dogg. You can follow any responses to this entry through the RSS 2.0 feed. You can leave a response, or trackback from your own site. Still so utterly gutted I can’t go. Please take as many photos as humanely possible, and if a Snoop Doggy Dogg cupcake happens to find its way into your handbag, I’ll eat that shizzle right up(izzle).